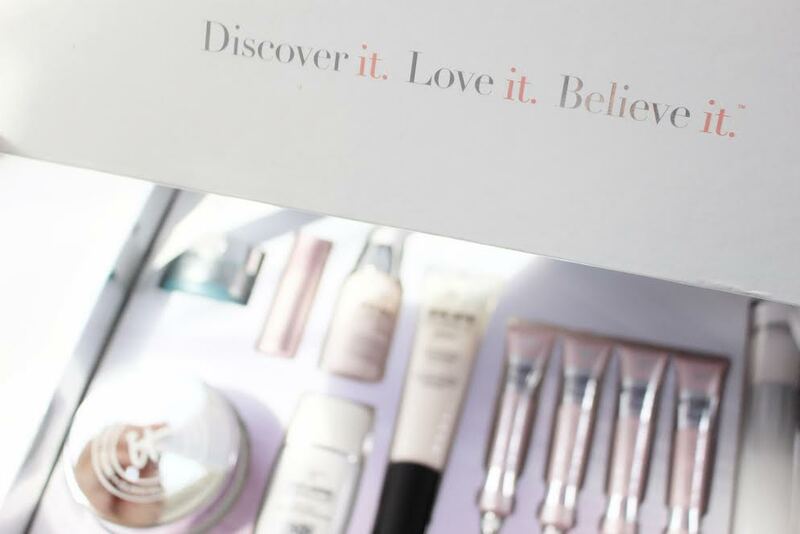 I am sooooo excited one of my favorite beauty brands, IT Cosmetics launched at Sephora earlier this week! 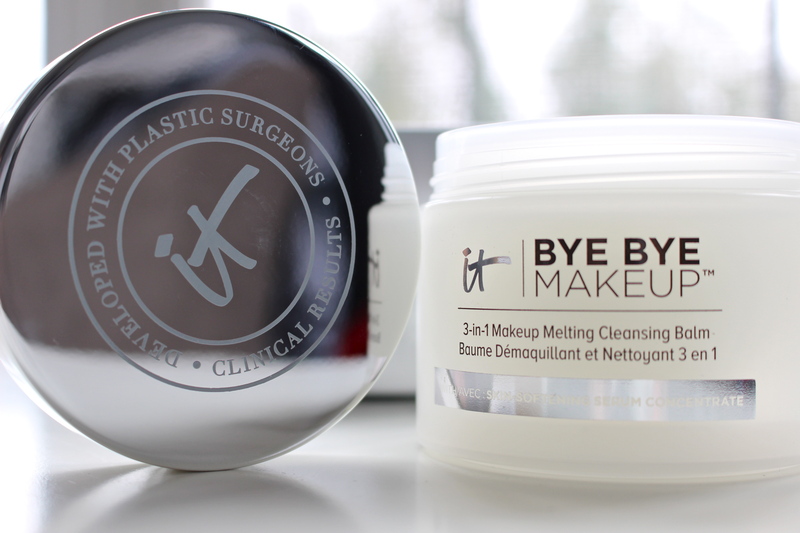 They’re celebrating their launch with a handful of new & exclusive products from their Bye Bye collection that will only be carried at Sephora. Anti-Aging Armour .:. Ahhh, sunscreen…. need I say more? This one actually has universal color correcting pigments to even skin tone. Je Ne Sais Quoi .:. A super smooth sheer flush of color, this balm has been a staple in my makeup routine for months. I love to apply a generous layer of this under lipstick for added hydration & comfort. 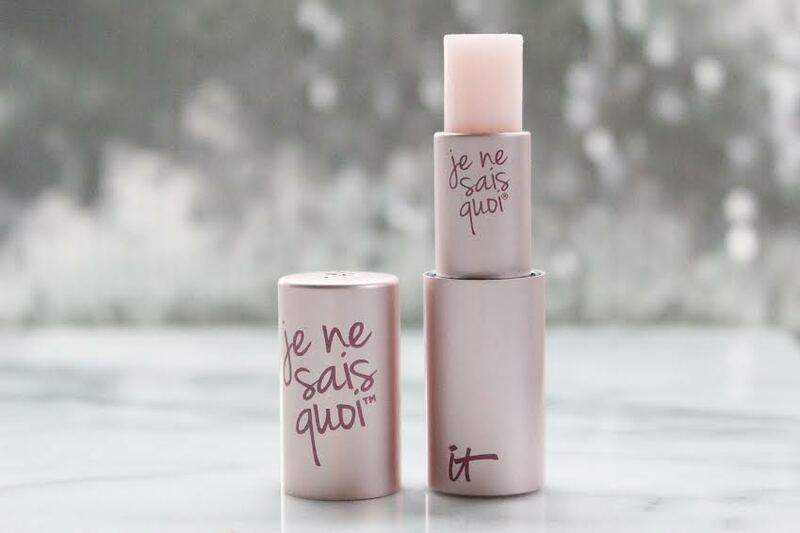 It’s packed with peptides, essential oils, and antioxidants to keep your lips incredibly soft. 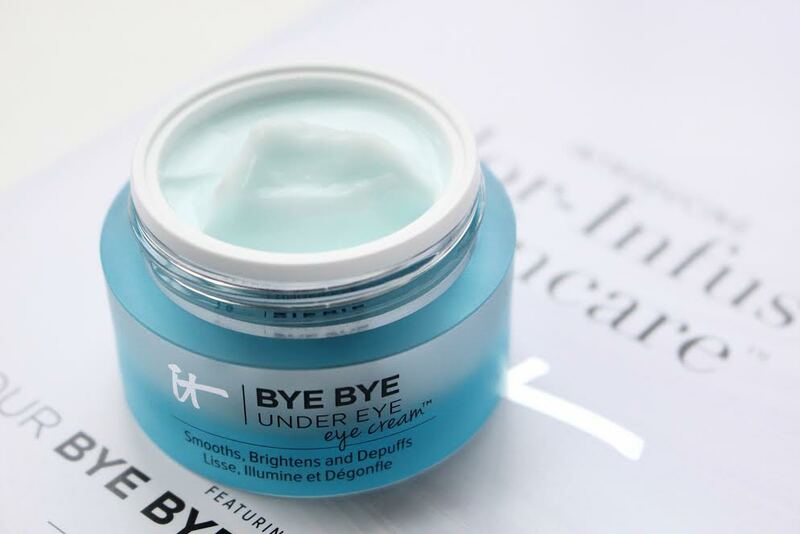 Bye Bye Under Eye Illumination .:. Concealer is one of those makeup items that needs to be spot on, it can’t be too sheer otherwise it’s pointless, but can’t be too thick otherwise it’ll look caked on. I have used this product for the last several months and love how it lasts on oily skin and the amount of coverage it offers without creasing even after hours of wear. Bye Bye Under Eye Cream .:. I’ve been addicted to using eye creams the past few months. Not fighting wrinkles yet, but love how much more awake and refreshed I look after continued use. This one is a combination of copper, blue algae, caffeine (yes please! ), collagen, vitamin C, cucumber extract and peptides. It goes on so smoothly and is a life saver when 8+ hours of sleep didn’t happen. I store this in the fridge and apply it at night for the best results! 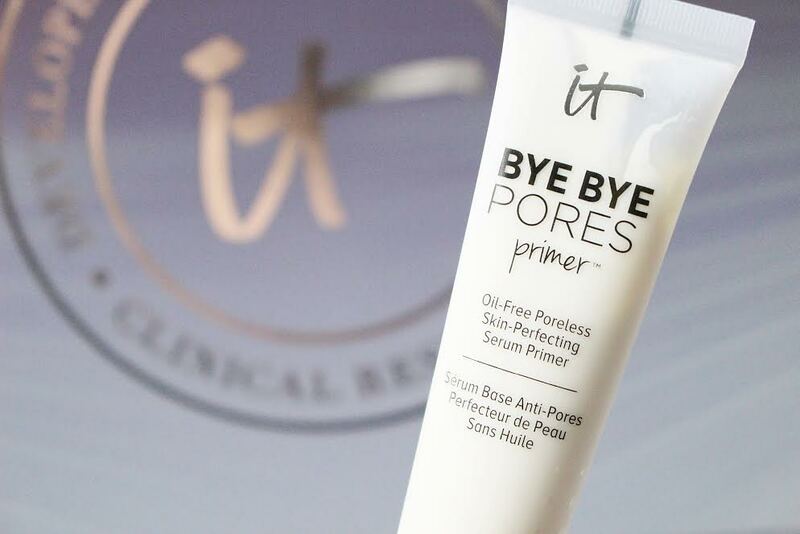 Bye Bye Pores Primer .:. If you would have told me a few years ago how important a makeup primer is, I would have never believed you. Fast forward to now, and I cannot go a day without using a high quality, oil free, pore blurring primer.. this being a personal favorite. In addition to the powerful anti-aging ingredients, this also contains charcoal and papaya fruit extract and keeps foundation in tact all day long. 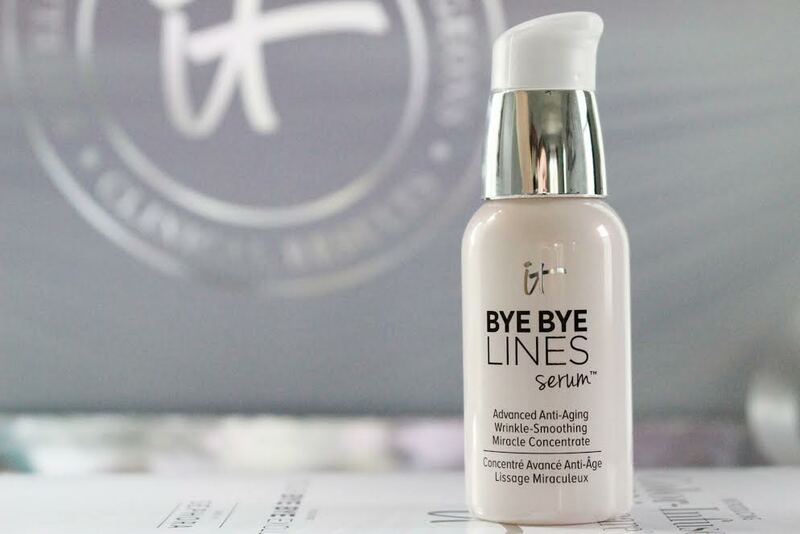 Bye Bye Lines Serum .:. This is the only product of the bunch that I have yet to try. I’ve been sticking to a strict skincare routine to avoid any potential breakouts and have yet to add this in! I will definitely update this once I’ve had a chance to try it out! Bye Bye Makeup .:. An anti-aging, skin softening, skin loving balm that removes makeup, cleanses and melts right into your skin leaving it super hydrated and SOOO smooth. 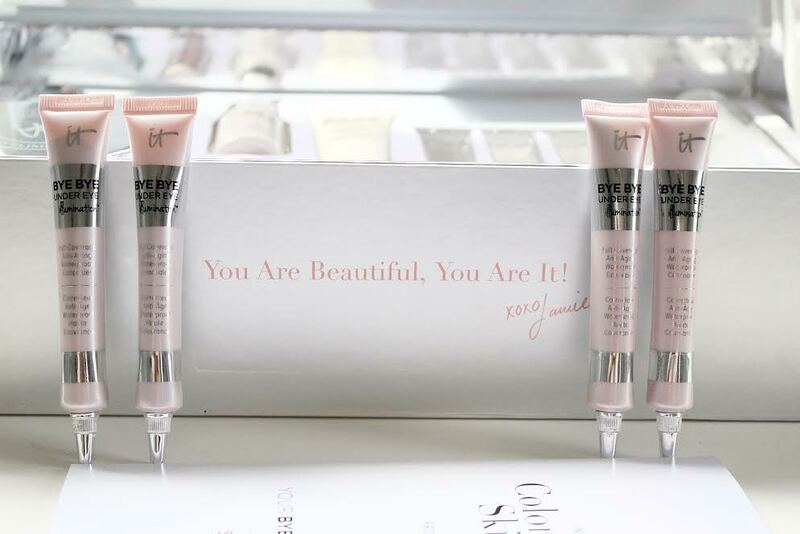 It’s infused with collagen, hyaluronic acid, peptides and antioxidants. Gently massage into skin, rinse with warm water and pat dry, you’re face will feel so refreshed and clean. 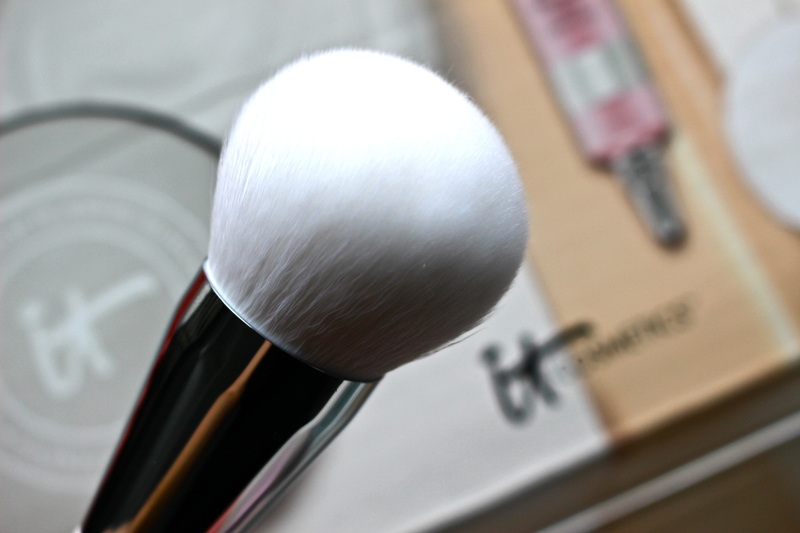 CC+ Skin Perfecting Brush No. 702 .:. I’m a sucker for the entire IT Cosmetics brush collection. I use this to thoroughly blend out my foundation and also use it to apply my bye bye pores finishing powder. The bristles are so silky soft it glides right over your face and makes applying both liquid, cream or powder foundation a breeze. As with all of the IT Cosmetics products I’ve tried, I have been extremely impressed, these being no exception. 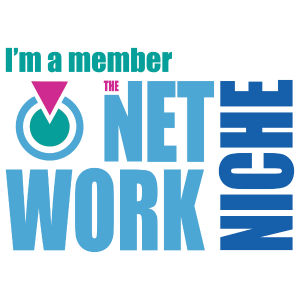 SO many of their products are ones you continue to repurchase time after time and and products you truly stick with. Let me know your favorites from IT Cosmetics or if you end up trying any of these! Xo.